Are you here because your crush keeps teasing you regardless of the situation or time? I’m not saying that I’m correct with my assumption, but why are you blushing? Your face is so red that it makes you all the more teasable. You remind me of Nishikata from Karakai Jouzu no Takagi-san. Oh, by any chance, are you here because you’ve watched that series? If yes, then say no more! With all the blushes, giggles, and heart-tickling moments that Karakai Jouzu no Takagi-san has brought, it is totally understandable that you’ve come to wish for more. Admit it, you like being teased! 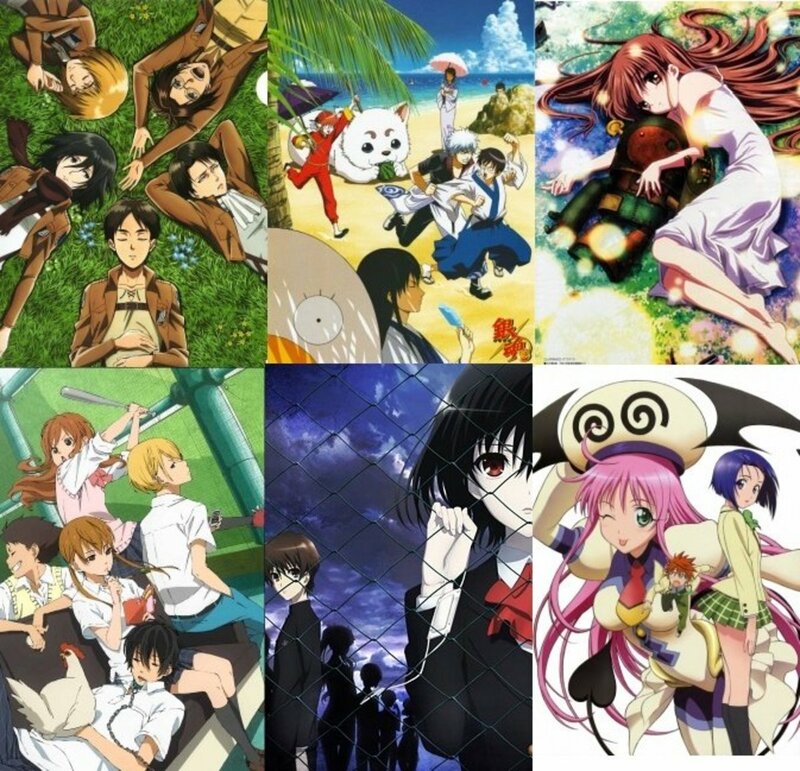 But enough of the teasing because here they are—the five anime shows that very much resembles Karakai Jouzu no Takagi-san! I hope you enjoy watching them all! 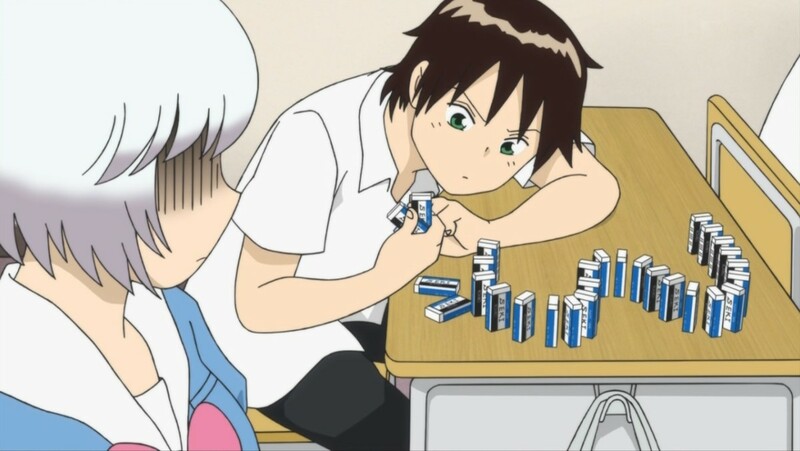 Tonari no Seki-kun is a creative manifestation of what bored students do during classes. Having said that, rest assured that this is no boring show. It doesn’t possess a deep plot. Heck, it doesn’t actually have a plot at all! It is episodic in nature, but what I can confidently say about it to you is that it is extremely amusing and well-worth all the seconds of your time watching it. Since Seki-kun is the master of killing time, you’d do well spectating his comical hijinks, and killing some time with unadulterated fun and playfulness. In all seriousness, if you are looking for an anime that will help you kill some time and have some fun at the same time, then Tonari no Seki-kun is the anime for you to watch! Folks, don’t let the word “Shoujo” in the title fool you! 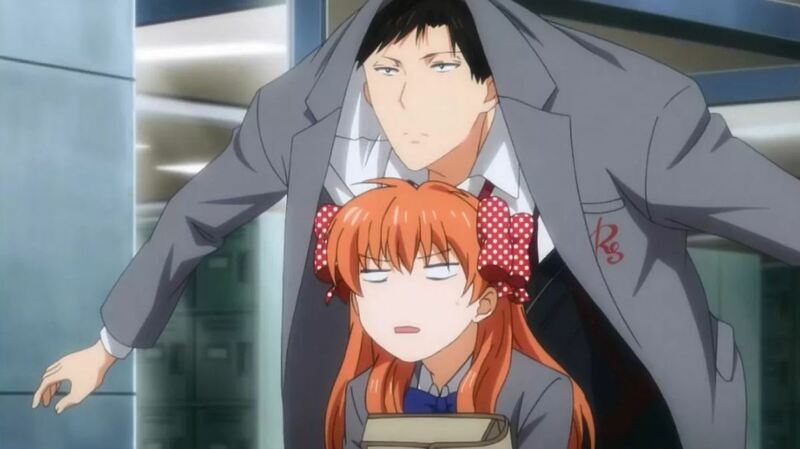 Gekkan Shoujo Nozaki-kun is not, in any way, a shoujo anime. While it does display some shoujo elements out of necessity because of its central theme, it is actually a school/comedy anime through-and-through! How should I put everything in simpler terms? Okay, Gekkan Shoujo Nozaki-kun is a show that mishmashes the elements and cliches of the “Shoujo” and “Romance” genres in order to make fun of them and induce some clever mischief. Just imagine a girl confessing her love to a boy, but then the boy misinterprets her confession as a way of asking an autograph from him. Oops! As it turns out, the boy is a shoujo manga artist, and he takes her in as an assistant after the misunderstood confession. So then, the story goes on and hilarity ensues! 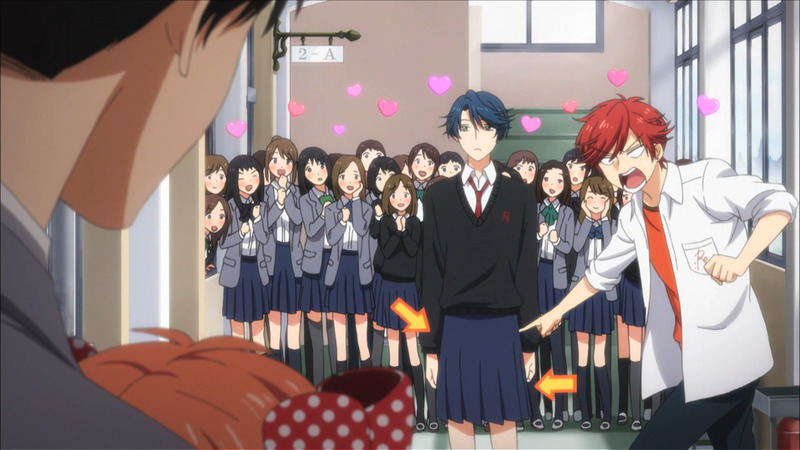 Gekkan Shoujo Nozaki-kun is not just entertaining, it is also relatable—but on a level you wouldn’t expect! Who knew misunderstandings could escalate into something this fun and mischievous? Watch it and you won’t regret a single thing! 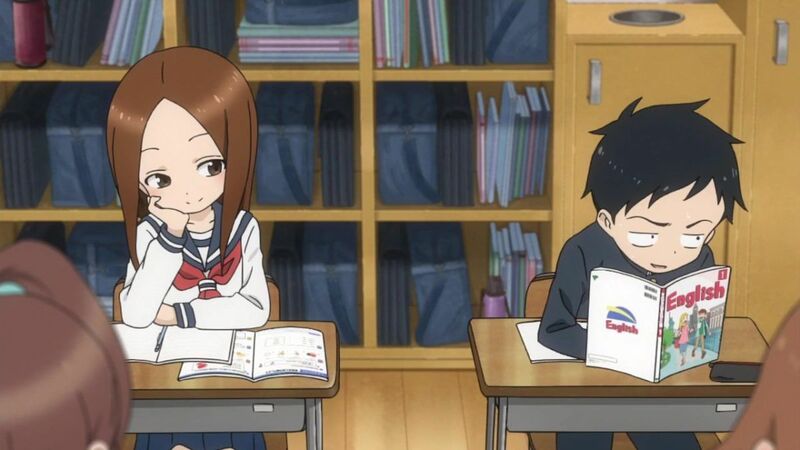 Did the comedy factor of Karakai Jouzu no Takagi-san leave you craving for more? Are you looking for more outlets of laughter? Do you want something wilder and crazier? 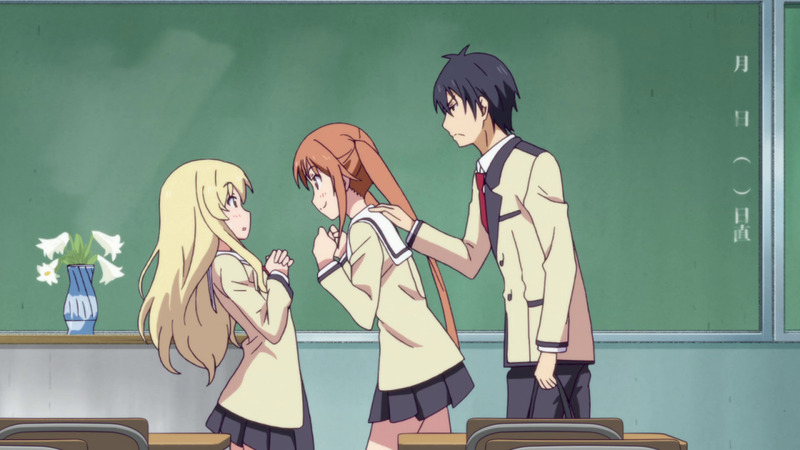 Well, it’s time for you to watch Aho Girl! Aho Girl is one of the funniest anime shows of 2017. It is so funny it has the power to knock anyone off their feet and get them rolling on the floor while laughing. 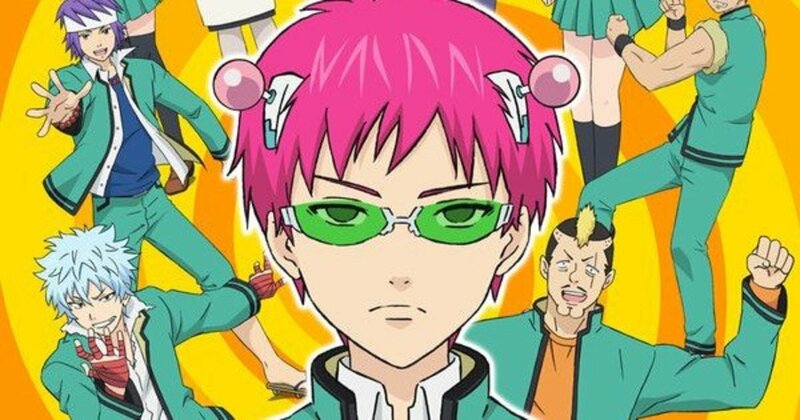 It is mindless, stupid, and nonsensical—all perfect for a slapstick comedy anime! I’ve already said this but I want to say it again: “Aho Girl is a wilder and crazier version of Karakai Jouzu no Takagi-san!” Now that you’ve got that noted, pick it up and treat your abs to an intense workout with the chortles it brings! Why can’t I shake this feeling that Barakamon is slowly being forgotten? It is a great show, I tell you. And so, with this chance at hand, I come to exhume it and present it as an anime worthy of being regarded as an anime with the same caliber as Karakai Jouzu no Takagi-san. 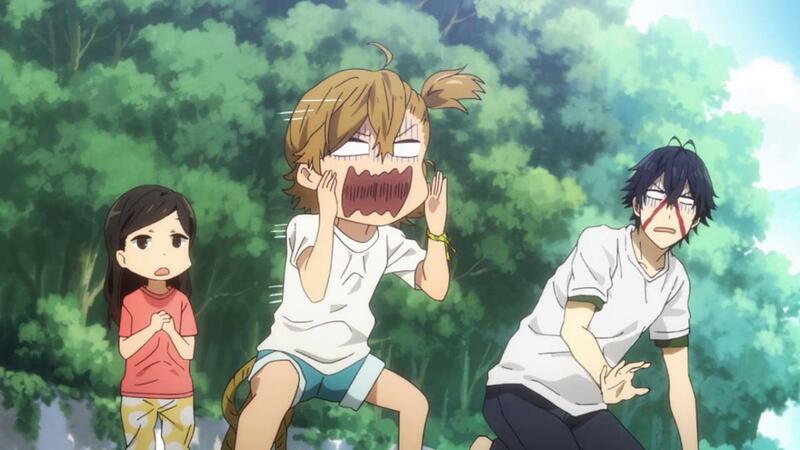 When it comes to being pure and lighthearted, Barakamon is a mighty contender to beat! 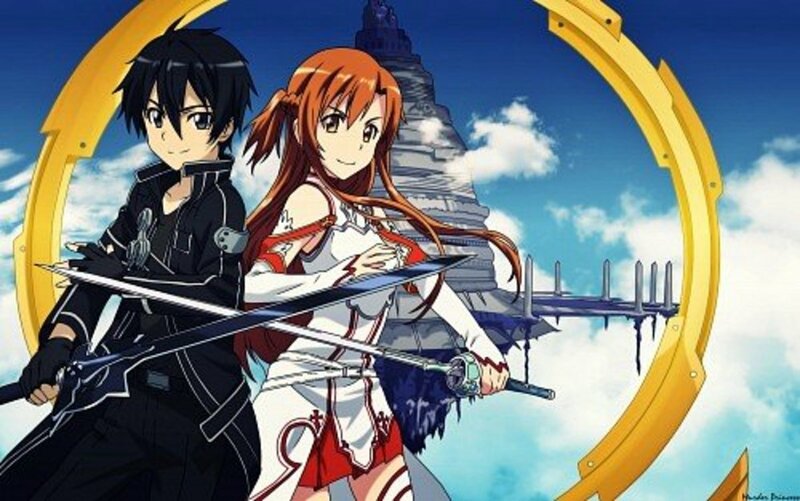 It is a slice-of-life anime like no other. It is very innocent and charming. It is very warm and fuzzy. 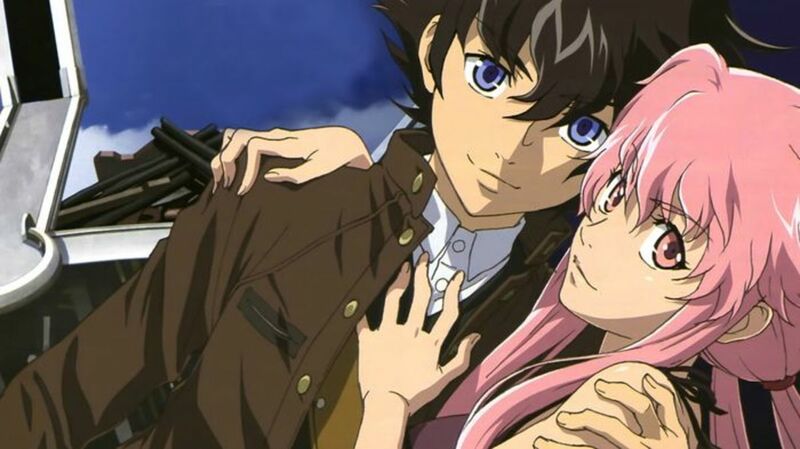 It is a show that possesses the ability to cause anyone that watches it to experience a relaxed and feel-good state. It just makes you feel bubbly and warm inside. I wouldn’t go as far as to call it life-changing, but it sure is a very insightful and meaningful show. Now, all you have to do is give it a chance. I believe that Barakamon is totally underrated. But I’m sure that if you loved Karakai Jouzu no Takagi-san, then you will definitely love this one as well. Just sit back, relax, and let it work its demure charm on you. Go pick it up and thank me later! If you’ve heard of Tsurezure Children before, then I’m pretty sure you understand why it is listed here. For those who don’t know about it, then you’re in for some purposeful and heartwarming entertainment! 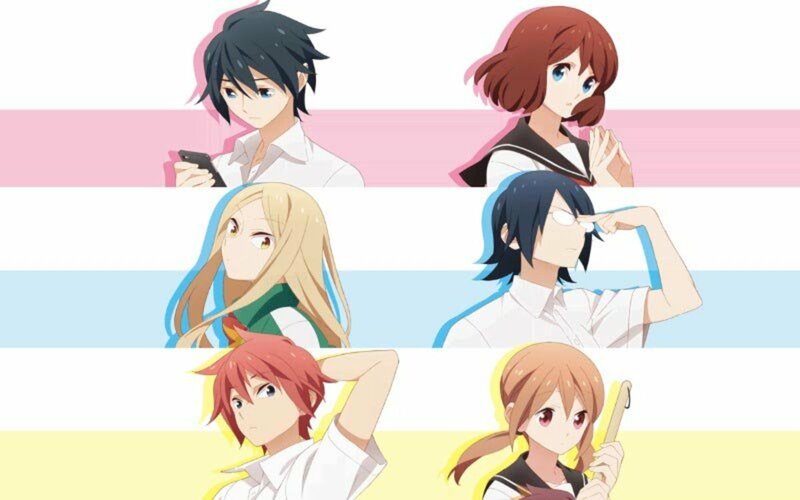 Tsurezure Children tells about young love and relationships. Mind you, this show is composed of multiple simple yet short episodes depicting various characters. One of the couples in this show even closely resembles the relationship of Nishikata and Takagi from Karakai Jouzu no Takagi-san. There’s a lot blush-inducing things happening here in this show that you’ll definitely find yourself wanting more! For Tsurezure Children, love is certainly floating in the air! If you’re into youthful love and sweet moments, then look no further. 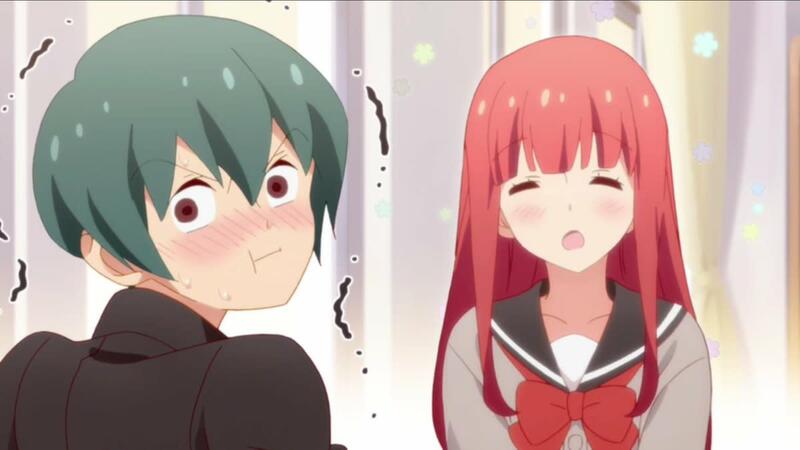 A school setting, a lot of sweet romantic experiences, some lighthearted humor, and a copious amount of awe-inspiring scenes—Tsurezure Children has it all for you!